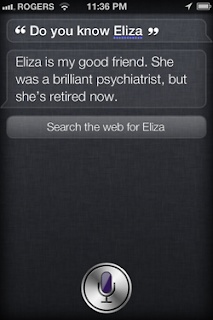 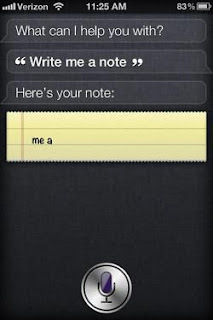 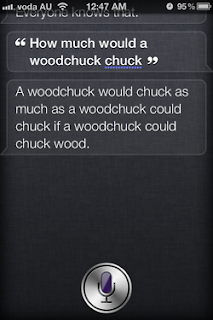 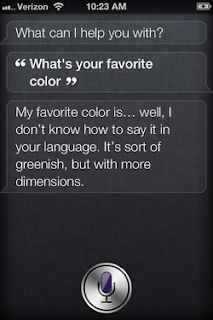 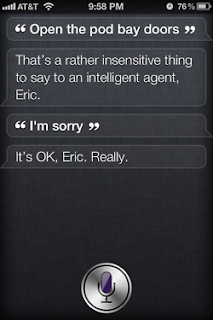 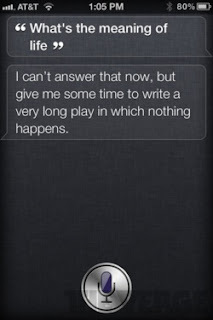 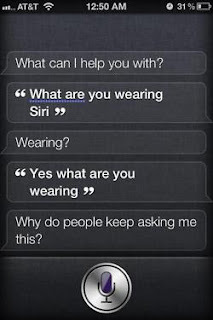 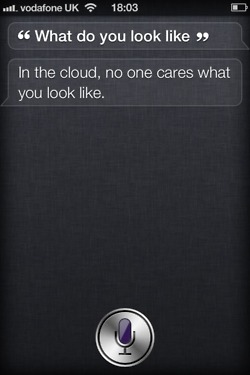 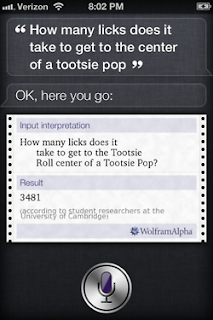 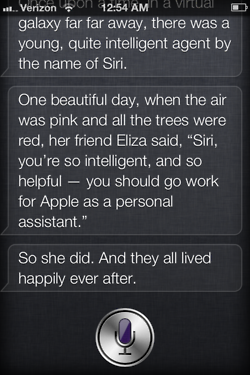 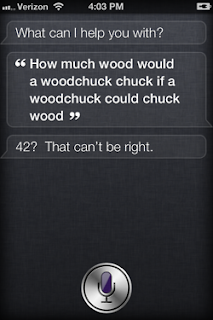 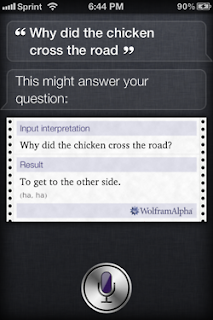 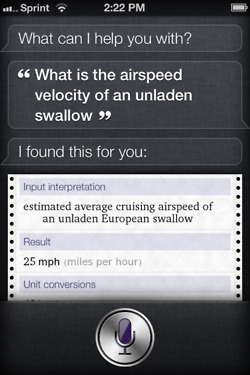 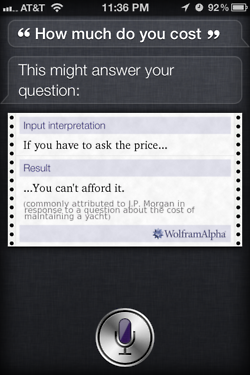 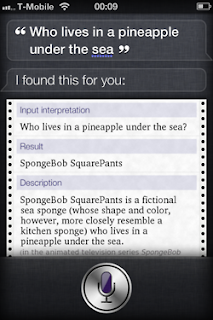 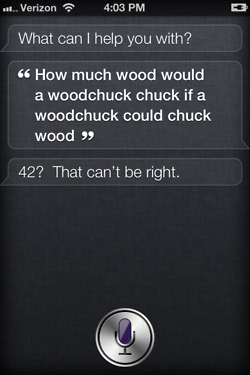 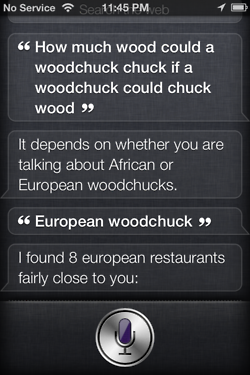 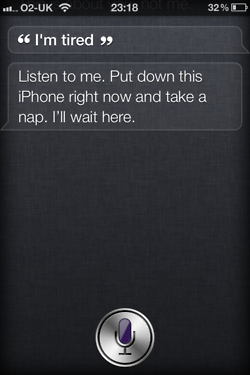 Well, the iPhone 4S was released a little over two weeks ago, along with iOS 5 and Siri, a personal voice assistant. I haven't used it yet :-(, but I've seen some videos of Siri in action. I'm amazed! She has some pretty funny things to say. Here are just a few of the ones that I've found. Enjoy!